Country Gardener has over 3 decades of experience, with a staff dedicated to making homes and businesses in Maurepas, Gonzales, Prairieville, Springfield, and other nearby areas look beautiful. We do accept projects for individuals with a TWIC card services. 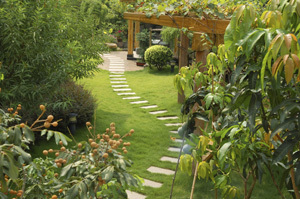 Our landscaping company embraces and promotes sustainable landscape techniques. We take full advantage of the resources available in the city, state, and region, combining the culture of the area with the specific desires and needs of each client. Our team works with integrity, close attention to detail, and precision with each project to keep complete that on time and within budget. In addition to our other landscaping services, we also offer some masonry work such as pool area slabs, stone staircases, stone sidewalks, and more for homes, businesses, and municipal area such as parks and beaches.